REVIEW: Steven Wilson “Hand. Cannot. Erase”/Stone Pale Ale 2.0 – Now Beer This! At the encouragement of several people, I am going to start writing reviews again. It’s been awhile, so many of these records won’t be that new. However, they are all ones I’ve enjoyed very much. The first one might be my favorite record of the year, and it is from a musician that I respect a great deal- Steven Wilson. While I generally love everything he has a hand in, his most recent solo album Hand. Cannot. Erase. felt more personal to me than his other recordings. I was also lucky enough to see the album performed live in New York this spring, which really brought it to life. Wilson creates a character loosely based on Vincent, and the album is the story of her life. The first time I listened to this album in its entirety was at a friend’s house who had purchased the deluxe edition. The deluxe vinyl came with a book containing lyrics, photographs, and artwork to go along with it. Steven Wilson uses a lot of great visual components in his shows, so it was nice to have something to make listening to the album at home a multisensory experience. The theme of the lyrics focuses around being alone, and the idea that solitude is not necessarily a bad thing, perhaps even preferable. Lines such as “when you’re on your own, that’s when you’re free” from “3 Years Older” and “feeling guilty if we sometimes want to be alone” from the title track exemplify this. Wilson utilizes a variety of instruments and musical elements on this album. As many of his records do, almost every single track has a mellotron on it somewhere. But other instruments, such as hammered dulcimer, Chapman Stick and a variety of organs including a Wurlitzer and a celesta, all make appearances. The album also features spoken word, on “Perfect Life”, and a choir from the Schola Cantorum Of The Cardinal Vaughan Memorial School on a few tracks. As far as the production goes, I had rather high expectations. In addition to being a versatile musician, Wilson is a high-caliber producer. He has worked with many of my favorite bands including Opeth, King Crimson, and Yes. I was not disappointed with the mix- every instrument can be heard at the appropriate time, and complements Wilson’s careful orchestration. As the album follows along the story of this character’s life, the songs move seamlessly from bright to dark. Songs like “3 Years Older” and “Hand.Cannot.Erase” are driven by piano melodies. The title track proves that there is something on this album for everyone, in that it comes off as a pop song about love. It is also the turning point of the record and the last song on the first side. Side B starts with “Perfect Life”, that features spoken word which to me implies that for the main character in this story, the happiness that comes with the company of loved ones is beginning to cease. This album also shows different meanings of the word “heavy”. I would not call this a metal album, but there are heavy riffs and guitar solos on songs like “Home Invasion”, which I as a metal fan can absolutely appreciate. To be honest, though, I thought that the “heaviest”, at least emotionally, song on the record is “Routine”. I especially felt this when I saw it performed live with the animated video directed by Jess Cope of Owl House Studios. The song depicts the idea of continuing to do the same thing day after day, not necessarily expecting a different result but simply to hang on to something that no longer exists. The album closes with the ethereal “Ascendant Here On”. It is incredibly minimal, but it is a fitting way to close what I felt was a very emotional album. I will fully admit that I may have gotten a bit misty eyed when I was at the show, but it really is that good. If you have never listened to anything Steven Wilson has done, or if you just haven’t heard this one in its entirety, take an hour or so and listen to this record from start to finish. Preferably with some good beer in hand. The Pale Ale 2.0 maintains a balance of the traditional and the modern in the hop varietals it features, specifically Mandarina Bavaria. This is a new hop that made its debut in 2012, but was grown in Bavarian soil from which brewers have been harvesting hops for centuries. I admit that I did not drink this beer out of any appropriate glassware, strictly out of the bottle. Which is an unfortunate shame, because the limited aromas I did get were fantastic. Peach and melon seemed to dominate. Some nice biscuit-malt sweetness to balance out what little bitterness the hops provide. At 6% ABV and only 50 IBUs, it’s a great pre-concert beer in that it will provide plenty of flavor without destroying your palate. Many would say that Stone is best known for its’ west coast IPAs. 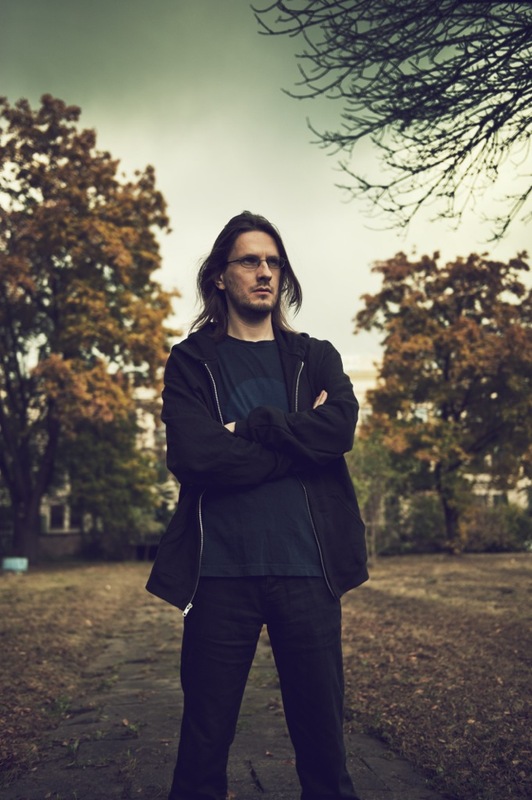 Steven Wilson is best known for his work in the progressive rock genre. While Hand.Cannot.Erase. would definitely follow that genre as a whole, it has components that branch out to more than just the prog community. In a similar way, there is no mistaking that Pale Ale 2.0 is a Stone beer. It is totally hop-centric, but the use of new varietals grown on ancient soil is a way to appeal to both old school and new school beer lovers alike. Posted on November 3, 2015 October 18, 2016 by nowbeerthisPosted in ReviewTagged 2015, pale ale, prog, review, stevenwilson, stone.